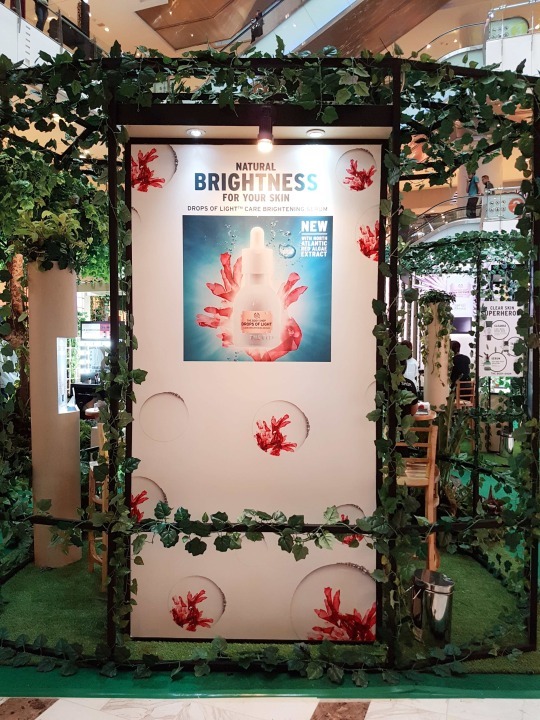 The Body Shop Indonesia launched two range of skin care products: DROPS OF LIGHT and SKIN DEFENCE MULTI-PROTECTION ESSENCE SPF 50 PA++++ this week. Always searching for new natural ingredients all over the world, now it’s red algae, from the deep North Atlantic ocean. They also uses Vitamin C, which we know is a popular ingredient to blur dark spots & hyperpigmentation. 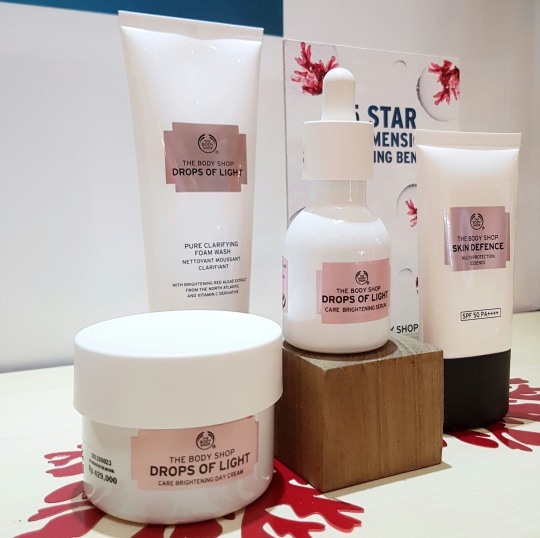 Drops Of Light is a skin-brightening regime that promised to give us another dose of radiant and smooth skin day after day. 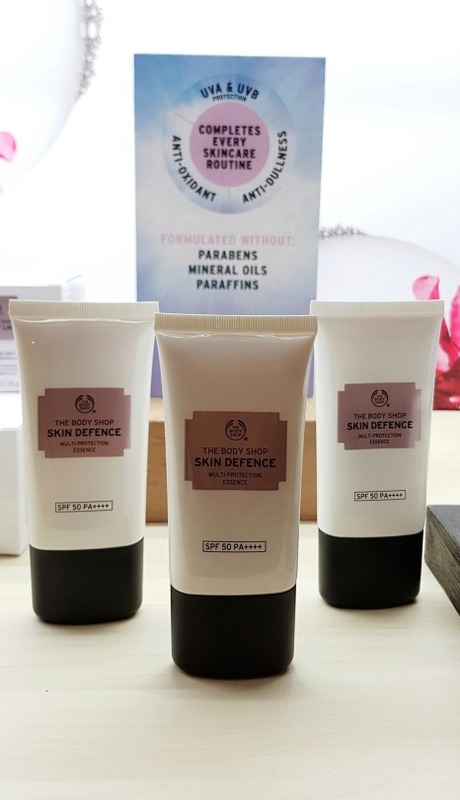 Good to know that sensitive skin can use this range, too. Hold your horses, as this range will be available in The Body Shop Indonesia’s stores on September 19, 2016. 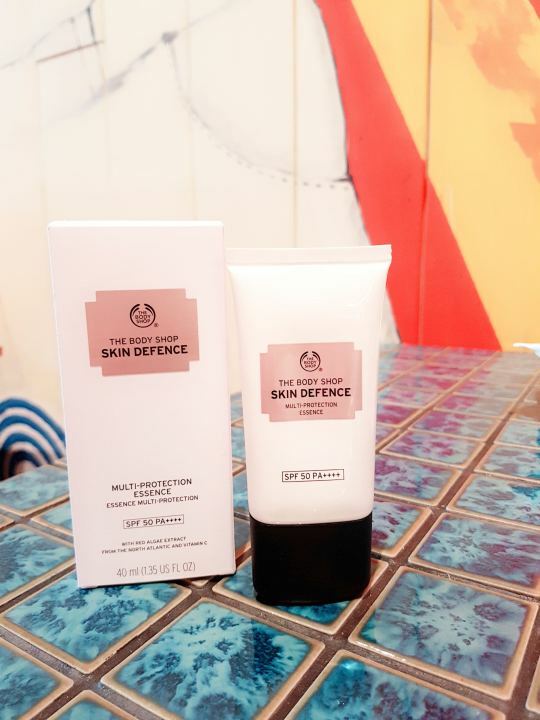 The other product they launched is their new SPF. As I age, I got paranoid of the effects of the sun. We all need a good SPF, stat! Unlike other SPF, this is not creamy in texture. Instead, it’s very feather light, thanks to their milk-to-water essence formula. 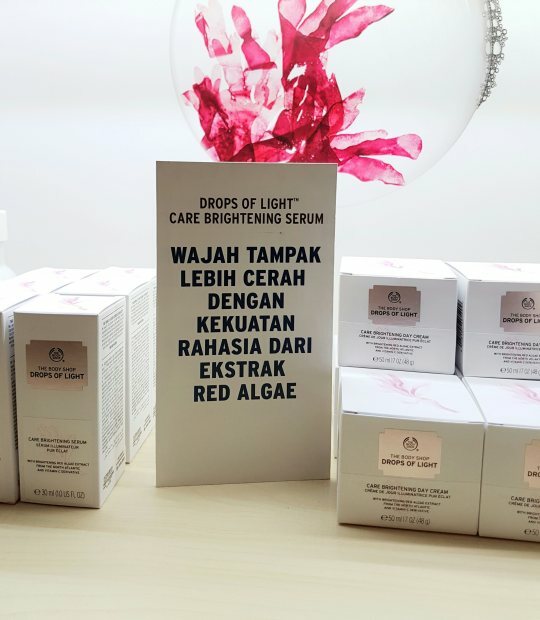 With broad spectrum UV filters, and added ingredients like brightening red algae and antioxidant Vitamin C. this unique SPF will protect our skin against multiple skin aggressors, while being comfortable to use. It won’t give us that weird white casts post-applied. It’s completely vegetarian and formulated without parabens, mineral oils & paraffins. Recommended to use under makeup, and don’t forget to reapply frequently if you’re going to be out in the sun. If you live in Jakarta, or happened to be in town this long weekend, drop by to Grand Indonesia to try them for yourself. 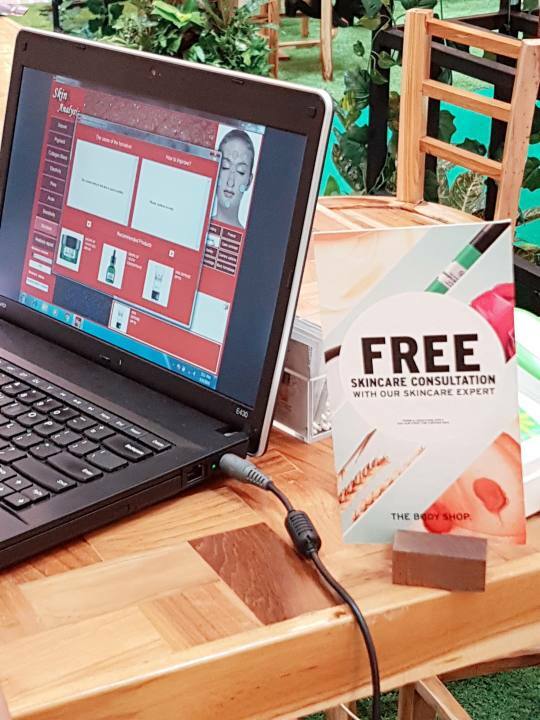 You can also do your skin check here, to see their product recommendation.